United gave home debuts to Wright, Tchami and McDonald. There was plenty of apetite from both sides early on but composure in the final third was lacking. 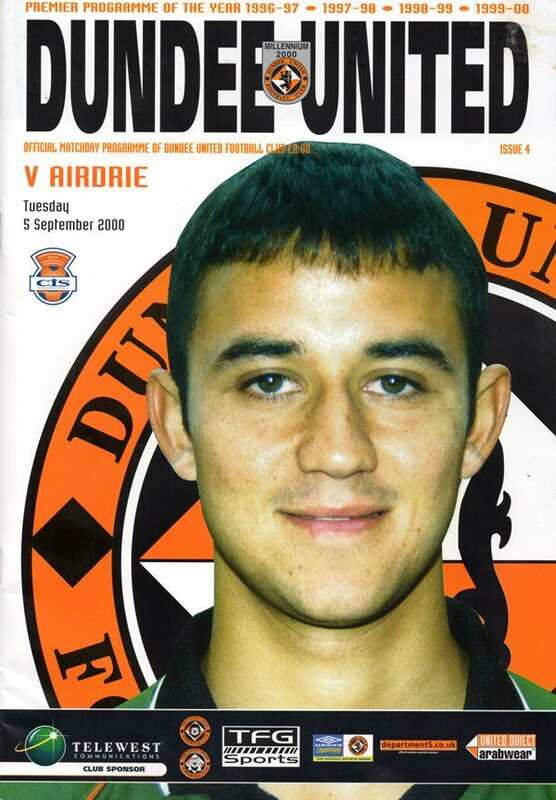 The first notable incident came when Jim Paterson was stretchered off and Stephen Thompson came on as a substitute. David Fernandez went close on 20 minutes with Stephen Wright forced to clear. In 31 minutes Barry Elliot's cross was just missed by Fernandez while Aljofree was off the pitch receiving treatment. Airdrie went close again after 44 minutes when McCann's cross was cleared by David Partridge. Jamie Buchan forced Broto into a 46th minute save with a 35 metre shot in the last action of the half. United appeared for the second half with David Hannah on for Neil Heaney as Alex Smith elected to play a 4-3-3 formation. 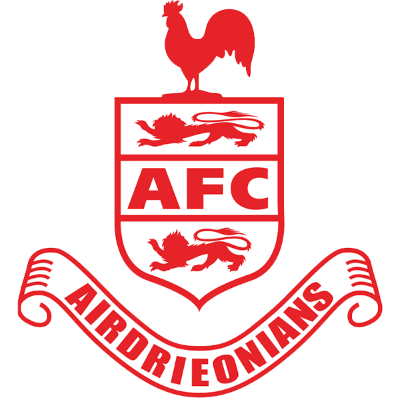 Airdrie came close in 47 minutes when Elliot's cross was again missed by Fernandez. Hannah's free kick is well saved by Broto who turned the drive over for a corner before in 67 minutes a teasing Buchan cross is just missed by Thompson. John Elliott was through on goal in 69 minutes but Alan Combe saved well. United switched to a 3-4-3 formation as they looked to avoid the game going to extra time and the chances were increased late on when Fernandez was sent off following an incident with De Vos. Tchami shot wide in injury time after fine work by Hannah in what proved to be the final chance of normal time. The hosts pushed forward in extra time and Hannah's 35 yarder in 97 minutes was spectacularly saved by Broto for a corner. Buchan's kick is then headed wide by Tchami. 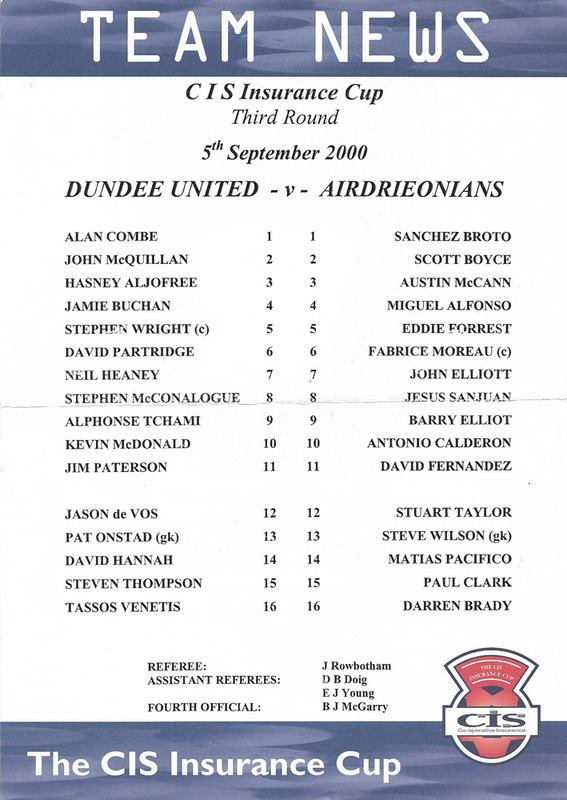 Airdrie sub Pacifico then brought out a fine save from Combe in 99 minutes with a 20 yard shot. United were enjoying all the possession but couldn't break down a stubborn Airdrie defence. With 2 minutes of extra time to play Aljofree had a chance but struck weakly at Broto meaning it was going to take penalties to settle the contest. Airdrie took the first kick which Sanjuan scored. Thompson made no mistake in reply for United to level at 1-1. McCann then put the Diamonds 2-1 ahead and when Tchami's penalty struck the bar, the signs didn't look too good for the Terrors, especially after Moreau scored to make it 3-1 for Airdrie. Wright netted for United and then Calderon's kick was superbly saved by Combe giving the Tangerines the opportunity to get back on level terms. When Hannah powered home his penalty into the roof of the net the match was levelled at 3-3. Combe then saved from Forrest leaving De Vos has the chance to win a quarter final berth for the home side. 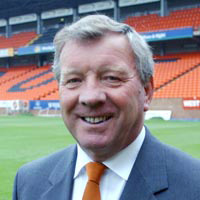 Thankfully he made no mistake and the Tangerines breathed a sigh of relief as they celebrated a 4-3 shoot-out win. Last week,I spoke in the press about the expectations at this club.And I am the first to admit that the supporters demand a higher standard of performance than they have been getting. For example,we didn't do well enough in our last home game against St Johnstone,and although we did work harder in the second half,we still came out of the game with nothing. 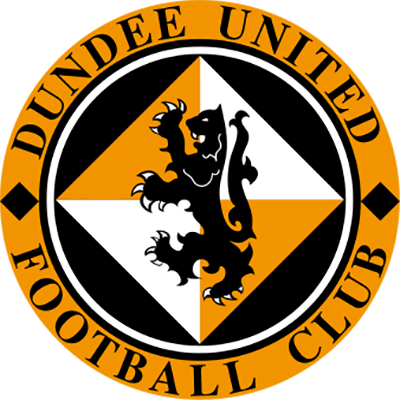 Whilst,we could take a bit more out of the game at Dunfermline in that we worked harder for each other,the stark truth is that we didn't do enough to win the match and again ended up with nothing tangible at the end,and that is not acceptable to anyone at this club.Above all else,the players must show more will to win and if that commitment is evident and we then apply the skill we have in our ranks,results will start to turn in our favour.However,it is an undeniable fact that we need to strengthen the team in one or two areas.Most pressing is a natural playmaker to compliment the midfield. The striking positions are also areas in which we needed new blood.Whilst it was most encouraging to see Stephen McConalogue show us a glimpse of his potential with his hat-trick at Alloa,he has only just turned nineteen,and is still developing.Hence,the reason for the signing of Mvondo Atangana,so quickly after the arrival of Alphonse Tchami and, hopefully,the arrival of the two strikers from the Cameroon will provide us with the increased goal threat we require.But having said that,they must be given the ammunition and our wingers have got to get in more crosses and there must be more support from midfield.For now it is a case of working away at things until they come right and that is exactly what we will endeavour to do.Whilst we are sitting at the foot of the table,it is too early to press the panic button.In addition to two new strikers,I have also fixed up Stephen Wright to bolster the defence and if that new blood can help us get a couple of wins under our belt, hopefully,the feel-good factor will return and we'll rediscover the recipe for winning games.Tonight,the pressure for points may be off us, but there can be no doubt that Airdrie will provide a difficult obstacle to our League ambitions.Ownership of the club has changed hands during a traumatic time in the clubs history,but Steve Archibald is building up the nucleus of a highly talented squad which,given time,looks as though they will be a force to be reckoned with. For our part,we are very much up for this tie and concentrating fully on playing at our peak to ensure that we are in the hat for the quarter final draw.